Elegant cathedral window quilting adds texture to a bedroom. 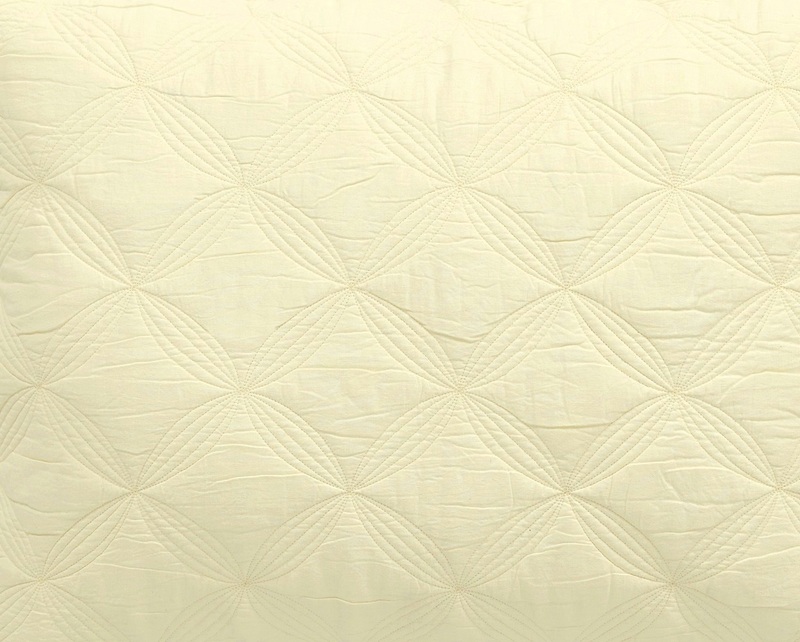 Classic in a soft light yellow, the scalloped edging adds romance. Sham features 3-tie closures and coordinating scalloped edge binding.